Kathryn Gray-White and Linda Hughes will walk you through the steps of writing a memoir that brings your story to life and brings your life to the page in a way that won’t bore your readers to death. You will pen a captivating memoir others will want to read. More importantly, you can hold your story in your hands and take it to heart. No one on earth can write your story but you. Linda and Kathryn are honored to help you do that. 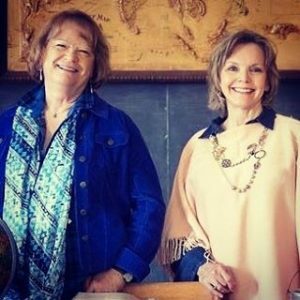 Kathryn is an award-winning journalist and Linda is an award-winning author. Set realistic writing goals and be motivated to keep them. Get a good start on your short story or book, and walk away with a complete story outline. Put your ancestors’ lives into the context of the time, place, and culture within which they lived and put your life into context. Weave personal and family history into the tapestry of your own story to bring it texture, color, and depth. Let your voice come through so it sounds like you. Include photographs in an interesting and legal way. Negotiate resistance from others, like family members. Understand the legal ramifications of plagiarism: copying someone else’s work, like a song or poem. Have a great time making your writing dream come true!